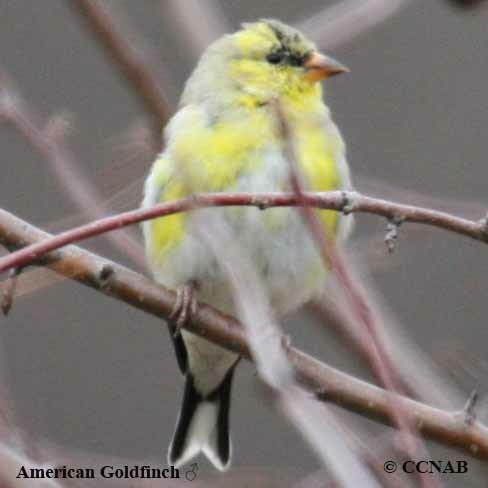 Yellow birds of North America are found in many different bird groups, in the same manner as other birds of different common colours. Some are found in dry open areas, such as the Couch's Kingbird and the Cassin's Kingbird, whose habitat is sparse and dry. Other examples, such as the Evening Grosbeak, Townsend's Warbler and the Hermit Warbler, favour the mixed forests as their homes. Below is a list of yellow coloured birds, in part or in whole, where the colour yellow is the more prominent colour of its plumage.